Nearly 50,000 miles using the stock seat on my Tenere, it works fine for a couple hundred miles but longer days it gets miserable. Yes I have done the flat seat mod and it helped a little but I’m really wanting a better seat and would like to see your recommendations. This is the only motorcycle I’ve ever owned that I considered switching to a different seat. 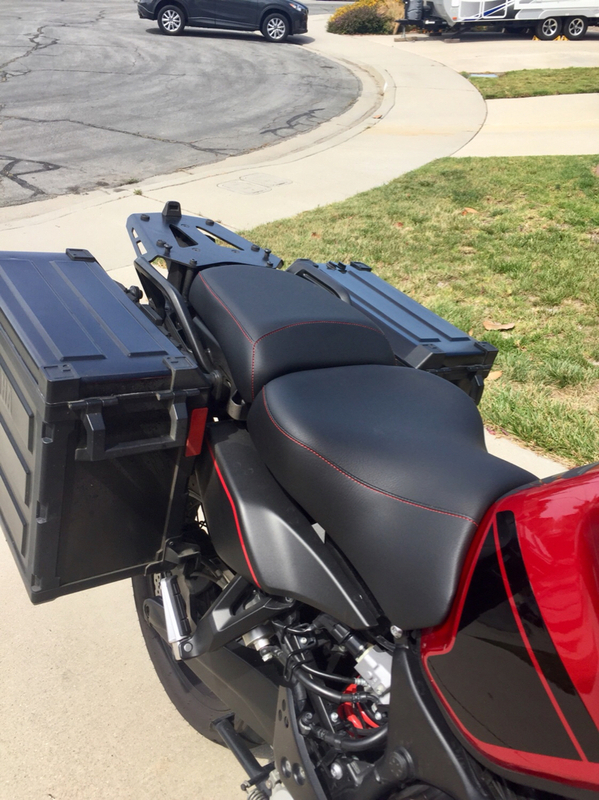 Just finished a 4000 mile tour on my Ténéré with a custom Bill Mayer seat. Extremely comfortable but took a good 2000 miles to break in. Best seat I’ve ever had on a bike. I kinda like the looks of the Bill Mayer seat and looks like they have a $100 off special going on right now which brings the price down to $500 plus my cost to ship them my seat. So far the stock seat has been fantastic. Up to almost 300 miles and zero comfort issues. I have my 10 year old Airhawk ready when needed. I have done a Saddle Sore on the stock seat and the seat was not an issue. Could have used more legroom though (36” inseam). I have a Russell Daylong driver seat on my 2017 . Stock seat has good for about 50 miles for me. 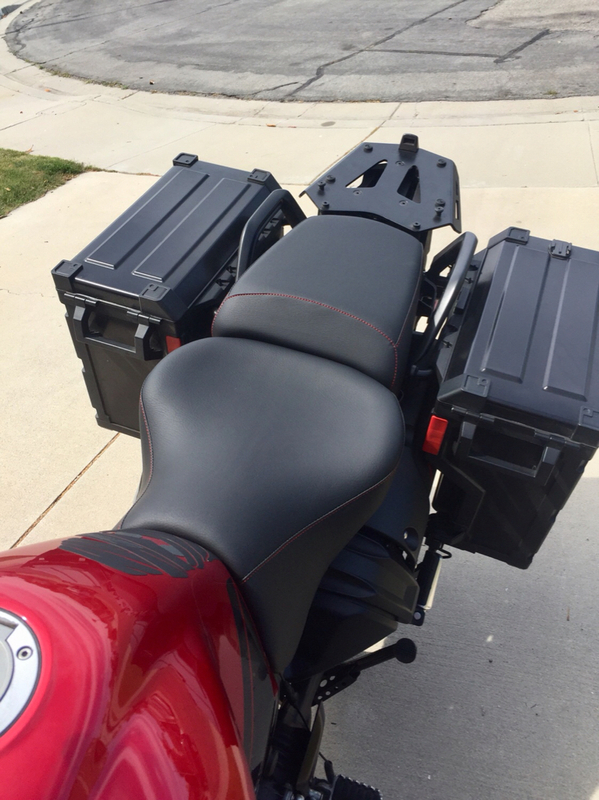 Has anyone here tried the Saddleman Adventure Tour Seat ? Dennis Kirk is only about 200 miles from me so I could pretty easily take a ride up there to check it out. I tried a Saddle Man, sent it back, Enough said. I went with the russel day long seat. I said it before, did a 7k trip and for the first time did not use any Advil. With that said, There is another contender that I would consider. Terry's custom seats out of Tennessee. He is cheaper and from what I understand you can keep your seat till the new one arrives. Then you send in the old one. He would have saved me money on shipping as well. I live in NC. Hope you get what your looking for. Comfort. I just bought a sadddleman tourer. It is very comfortable. I bought it as a spare to leave on my bike when I leave it outside at work . My other seat is a touratech driride. Thanks everyone for all your replies and keep them coming ! I ain’t in no hurry to make a decision and am still looking for a better seat at hopefully a reasonable price, but if it comes down to paying top dollar to get a seat That works for me that’s what I will do. I have been on fence as well about a new seat. Just finished about 1200 miles over the long labor day weekend on my 2012 with 25K on it. The first 2-3 hundred miles go fine. But the next days begin to get painful. It definitely feels like the stock doesn't distribute the load as well to the outside of my bottom and I get sore pressure points center and forward on my bottom. To me it seems a good seat needs a bit more of a bowl shape to distribute the load more evenly. I'm leaning towards a sargent presently . I've been researching all the seat options and thats kind of where I am trending. My buddy has a Sargent on his 2014 GS Adv. and he is happy with it. Of course as others have pointed out ....everyone's keister is different.. I had a Corbin on my Strom and could ride 16 hours on it. From what I here ,the Corbin on the Tenere is not as comfortableas the Strom. If it was , that's what I would buy. Maybe I'll find one cheap enough to try someday. If not , my saddlman and driride are good enough. I also believe an airhawk will help out a lot . I know how you feel. I tried to do it cheap. Just lost time and ended up spending the dough anyway. I always seem to take the long way around the barn. Best money I spent. Went with Russell and never looked back. That seat looks great !